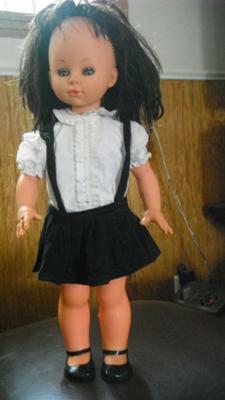 I recieved an italian doll from my grandmother-in-law several years ago. 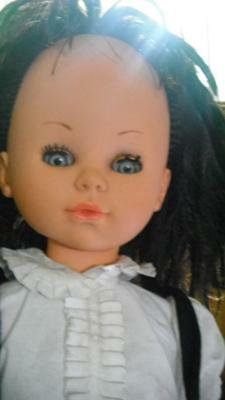 She had purchased it at a swap meet and gave it to me because it had dark hair and blue eyes (like mine) and the doll and I were also born the same year, 1968. I have searched the internet to try to find out more about her but have come up empty handed. She had no clothes when I got her, but did have shoes. 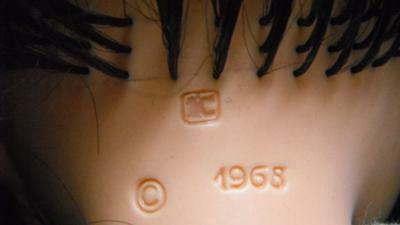 She also has painted pink nails, the mark "628 Made in Italy" on her back between her shoulder blades, a copyright mark and 1968 along with a square with what looks like XC or YC inside the square, stamped on the back of her head. Probably an italocremona doll. I had a similar one...took me ages to figure it out!